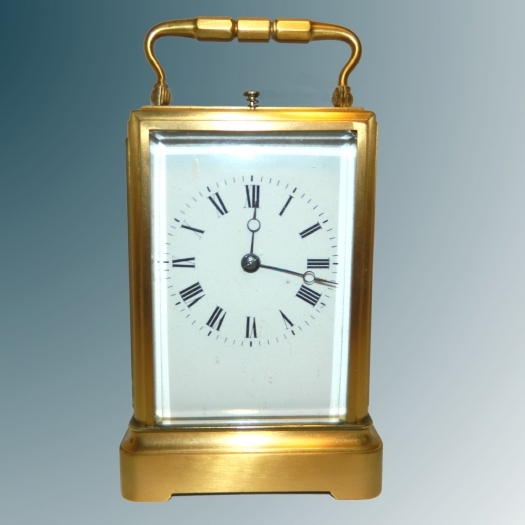 M. C. Taylor - Good repeating French carriage clock in an early one piece case by Drocourt. Pierre Drocourt strike repeat carriage clock. The eight day duration, half hour movement, striking on a tuned bell and repeating at will, with its original jewelled, ratchet toothed, side lever platform escapement. 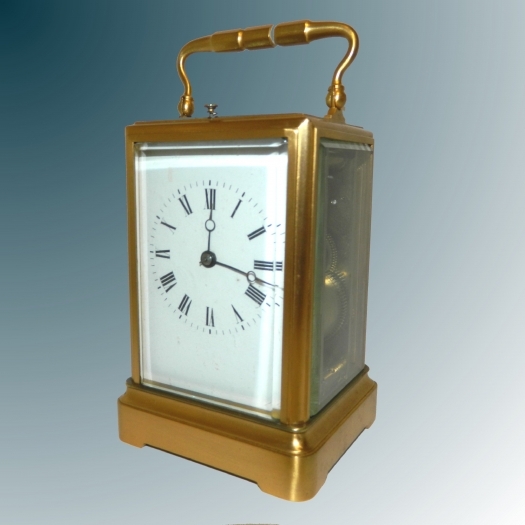 The backplate is signed by the retailer "E. WHITE (of) PARIS" and also stamped with the maker's logo "D C" with the familiar picture of a carriage clock between the letters of 'DROCOURT'. It is also numbered 16882. Behind a 2 1/2" x 4" white enamel dial with black Roman numerals and minute markings and Breguet style 'Open-moon' steel hands. 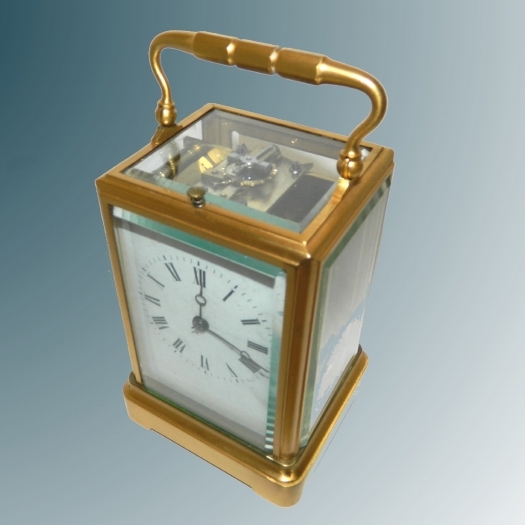 The early one-piece, satin gilded brass case with a moulded base, pin hinged swinging handle, repeat button to the top and bevelled glass panels the top being of full size. 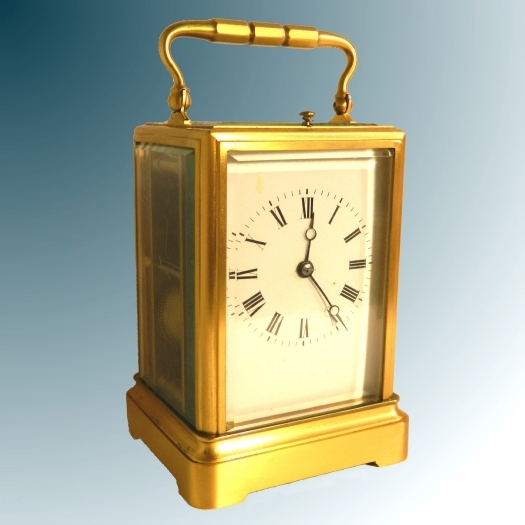 *Pierre Drocourt was considered very highly and produced carriage clocks of the highest quality, clocks made by him especially early examples are highly sought after. Dimensions: 6 3/4" high including handle x 3 1/2" wide x 3 1/4" deep. Condition: Excellent with very small chips to three panels.